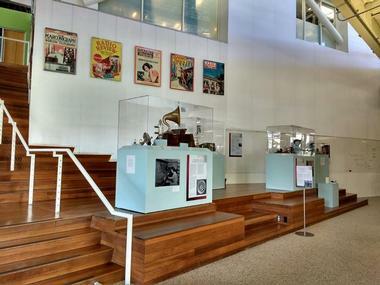 History San Jose works to preserve and enrich San Jose's cultural heritage as well as the heritage of the Santa Clara Valley through collections, research, events, educational programs, and partnerships. It was originally known at the Historical Museum of San Jose and founded by Theron Fox and Clyde Arbuckle in 1949. 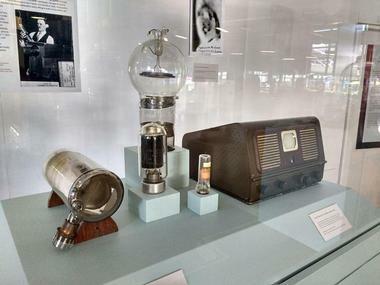 History San Jose manages one of California 's largest collections of regional historical artifacts, from Native American tools to pre-silicon chip technologies. History San Jose's History Park can be found at Kelley Park's southern end. 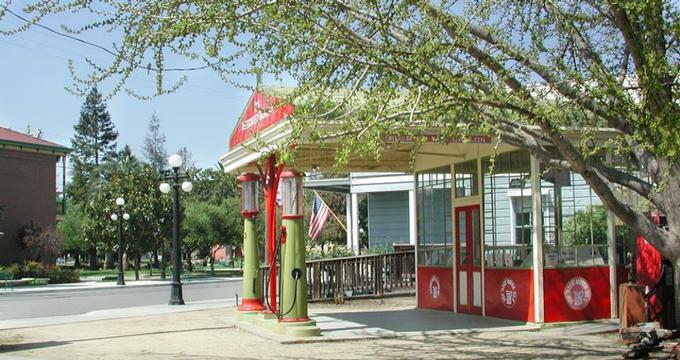 The park consists of 32 reproduction and original homes, landmarks, and businesses that highlight the past of the Santa Clara Valley. History Park spans 14 acres and contains paved streets, a café, and running trolleys. In addition to the numerous homes and businesses you can find O'Brien's Ice Cream Parlor and Candy Shop. History Park's Blacksmith Shed provides a demonstration of early blacksmithing during special events and festivals. The Passing Farms: Enduring Values exhibit in the Stevens Ranch Fruit Barn showcases the fruit industry in the Santa Clara Valley, which at one point produced more than one third of the world's canned fruit. The Coyote Post Office was formerly located on Monterey Road from 1907 to 1974 and also served as a community meeting place. The post office still exists today, just in a different building due to its outgrowing the old one. One of the businesses displayed in History Park is the Bank of Italy, started by Amadeo Peter Giannini, a San Jose native, in 1904. In 1930, it became the Bank of America and revolutionized the banking industry. The bank assisted in financing several famous films, such as Gone with the Wind and Snow White and the Seven Dwarfs. In addition, the Bank of Italy financed the Golden Gate Bridge construction in 1932. Amadeo Giannini also created the country's first successful branch banking system. Among the several homes displayed in History San Jose's History Park is the Chiechi House. The house was constructed around 1880 by John and Jane Campbell and was sold in 1913 to Michele Chiechi. The Chiechis were prominent orchardists in the valley who grew walnuts and apricots. The Urbarger House, once owned by "forty-niner" David Umbarger, displays a "kitchen garden" behind the house. Kitchen gardens were commonly found at houses throughout the Santa Clara Valley. Originally located in downtown San Jose, the Pacific Hotel was opened in 1880 by Charles Schiele. The replica in History Park was built to act as the headquarters of the historical museum and the main floor is home to an exhibit gallery and the O'Brien's Ice Cream Parlor and Candy Shop. Dashaway Stables, built in 1888, held horses and carriages that residents of San Jose could either rent or hire. The stables were also a place for people to house their horses and have them fed. The replica Dashaway Stables were constructed in History Park in 1975. The office of one the Santa Clara Valley's first physicians, Dr. Henry Hulme Warburton, was the first building that was relocated to the park.